Masaichi was born in November 1961. He was found on a street just after he was born. His parents were unknown. He grew up in the institution. He joined Kana-no-ie in August 1980. 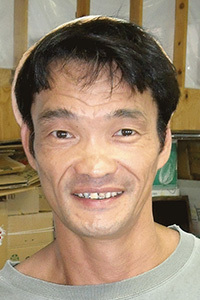 He has worked at the work shop of Kana-no-ie for 28 years and from 2008 he has had a job for a company outside the community. He lives with 3 core members and 1 assistant. Beautiful artwork. It is such a great depiction. Who are the people in our lives who embrace us like this? 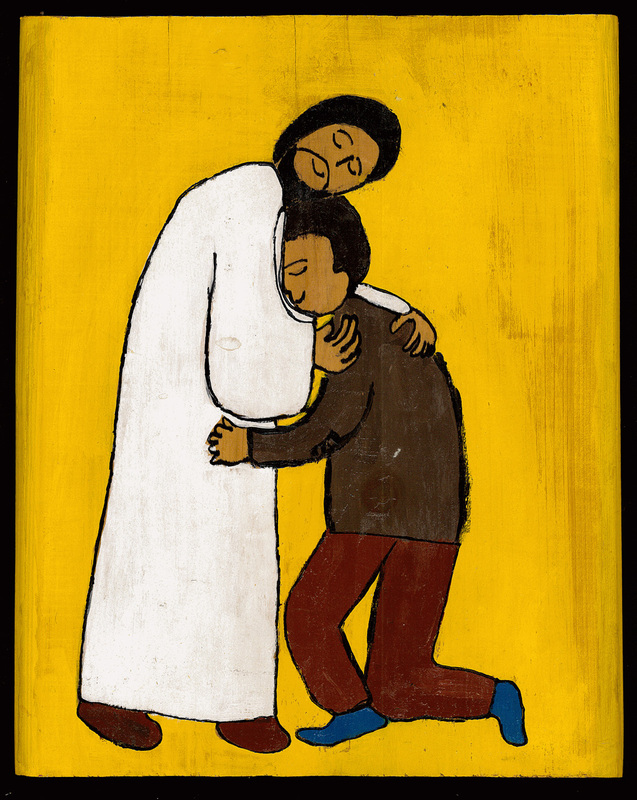 I feel the love coming from this picture, and am reminded that Jesus holds me like that through my friends. Thanks you for this beautiful picture. Your picture is very very beautiful and very moving. I love it. I have this image on my ipad and every time I see i, it remind’s me that I am lovable – because God loves me. Thank you so much for painting it. I love your painting Masaichi san! We have used it for our Retreat in Daily Life, and now for our pilgrimage – as badges, and on our thank you cards. It was also used for the Templeton Prize which Jean Vanier recently received. THANK YOU! what a gift for us all.